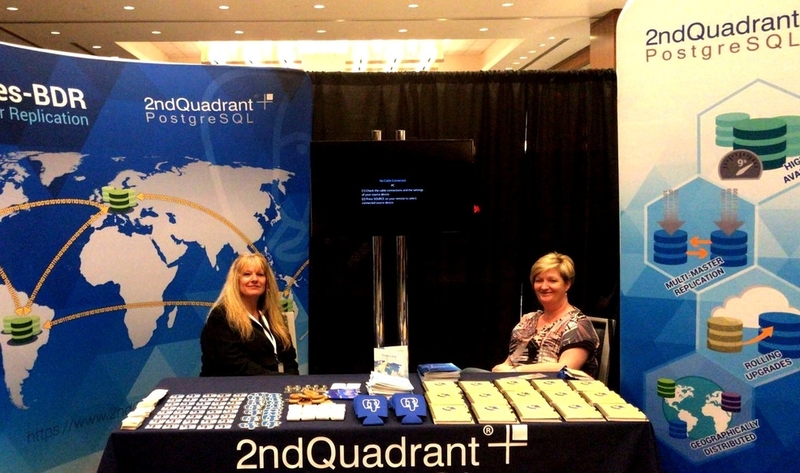 The world of PostgreSQL continues to grow stronger by the year! 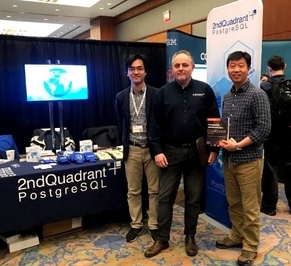 Last week we saw it all come together at PostgresConf US 2018 in Jersey City. . The conference was held to promote awareness and usage of PostgreSQL through tutorials and case-studies, as well as providing the opportunity to listen first hand to some of the best minds in the community. The 5-day event allocated two days to hands-on trainings on various PostgreSQL development and management topics. The remaining days were filled with over 80 breakout sessions covering everything related to PostgreSQL you could imagine. 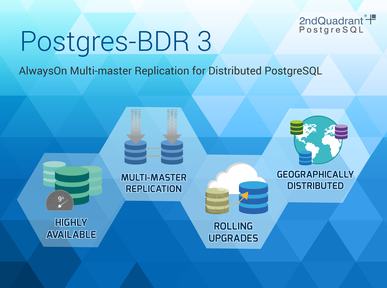 At PostgresConf, we also announced the 3rd generation of Postgres-BDR, a groundbreaking multi-master replication tool for PostgreSQL databases. The prominent features of the new release include AlwaysOn Architecture, Rolling Upgrades and Point-in-time Recovery. We received an enthusiastic response to BDR, which was further complemented by Peter Eisentraut’s deep dive session on PostgreSQL replication. We also had the PostgreSQL Administration Cookbook available at our booth, 4 attendees were able to snag signed copies! You can get your hands on one here. Events like this help bring the international PostgreSQL community together. This is something we witnessed during our conversations with representatives of PUGs from China and South Africa, alongside attendees from the USA. It was a wonderful sight to see hundreds of people coming together from all across the world to celebrate PostgreSQL. We had a great time and we look forward to more events like this that strengthen the open source and PostgreSQL ecosystem.